When Alabama’s high school seniors graduate this month, many will have earned a certificate proving they are career-ready. 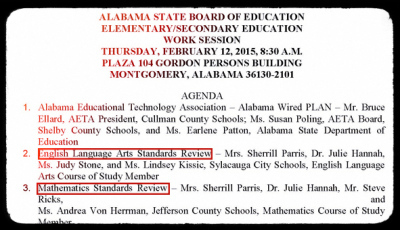 They will be the first Alabama graduates to have been given the opportunity to earn that certificate at the Alabama State Department of Education’s (ALSDE) expense. Earlier this year, all public high school seniors were given the opportunity to take the ACT WorkKeys assessment. 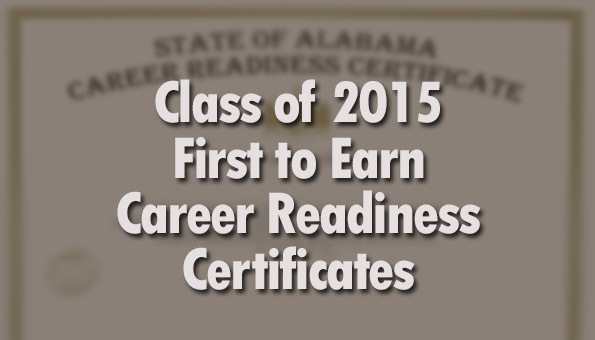 If a student reaches the benchmarks on the assessment, the student earns an Alabama Career Readiness Certificate. That certificate lets an employer that a student is ready to work, according to Dr. Philip Cleveland, Deputy Superintendent of Career and Technical Education/Workforce Development for the ALSDE. Making it clear that the ACT WorkKeys isn’t a “blue-collar” work assessment, Cleveland added that the results can be used to improve college-going skills as well. Cleveland recently sat down with me for a “Get Connected” segment on The Alabama Way to talk about the ACT WorkKeys assessment, the Alabama Career Readiness Certificate, and how that gives this year’s graduates a real advantage in the real world. Studies show that occupations requiring higher skills in math, locating information, and reading pay higher entry-level salaries. In fact, skill levels show a stronger correlation to pay than education levels do. While there are eight subtests in all, Alabama’s seniors will take only the three that ACT has deemed to be essential for career-readiness. These three are: Applied Mathematics, Reading for Information, and Locating Information. During the 2014-2015 school year, twelve states administered the ACT WorkKeys to high school juniors or seniors: Alabama, Arkansas, Alaska, Illinois, Kentucky, Louisiana, Michigan, North Carolina, North Dakota, South Carolina, Wisconsin and Wyoming. Each test takes about 40 to 50 minutes and can be administered either on paper or via computer. The ACT WorkKeys was administered to Alabama’s high school seniors during the months of January and February this year. Here are sample questions. Here’s an older document in PDF form that walks you through a number of sample questions at each score level. Here’s a sample report of student results. The results of the WorkKeys assessment do not impact the student’s graduation nor count for a grade. According to Cleveland, the ACT WorkKeys gives students another “artifact” to put in their portfolio. Knowing what your skill levels are, and which skills you may need to improve upon is helpful for all students because ultimately all will transition into a career, he added. Cleveland stresses that this isn’t a “blue-collar” work assessment. While employers have been using these assessments for years, the skills that are measured are valuable for those students on the postsecondary education track as well. The ACT WorkKeys was first administered in 1992. The ACT (traditional college entrance exam) provides an informational piece about entering college without the need for remediation and measures how well a student knows theory. Scoring well on the ACT doesn’t necessarily mean you’ll score well on the WorkKeys. The ACT WorkKeys informs the possibility of success in college as well as in the world of employment and is more about the application of the theory—taking the knowledge gained in school and applying it to the real world. While the ACT has a maximum score of 36, the WorkKeys score ranges from three to seven on each of the subtests. A minimum score of four on all three is needed in order to be successful in 65% of jobs, according to ACT. If a student is dissatisfied with his or her ACT WorkKeys scores, there are materials that can be used to improve a student’s score, though there is no course of study nor particular curriculum that matches one-for-one with what the ACT WorkKeys assesses due to the focus on application of knowledge. Students can take the parts of the ACT WorkKeys more than once, but the ALSDE only pays for the first round. The aggregated results can also inform education practices in schools to determine whether standards and instruction at the school are actually preparing students for real world experiences. Further down, you will learn how the ACT WorkKeys is viewed in Plan 2020, Alabama’s strategic plan to improve education by the year 2020. Through the years, ACT has mapped 20,000 occupational profiles to various ACT WorkKeys scores, setting a minimum level needed to be successful in that particular occupation. Cleveland explained how that is done. He said that a company decides which jobs it wants profiled and then has an ACT-licensed third-party contractor compile the profile. That contractor determines a minimum score an employee would need in order to be successful in that job. ACT’s research has shown that when these profiles are used to match employees with company jobs, employee retention rates are higher, and employees are happier in their job. “Being happy in a career is essential,” Cleveland said. Over fifty companies in Alabama have had jobs profiled in this way, according to Cleveland. He added that a company in Tuscaloosa has actually profiled every position in their company and that ACT WorkKeys results are a requirement to even interview with that company. This ALSDE document lists companies that utilize ACT WorkKeys as part of their hiring process. Here are some of those companies. 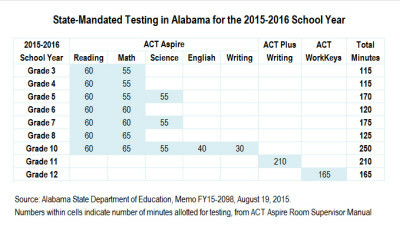 Because the ACT assessment costs can sometimes be a barrier for students, Cleveland believes providing students with the opportunity to take the ACT WorkKeys at no cost is an equalizer, allowing all students, regardless of ZIP code or income level, to graduate from their Alabama high school with both the ACT (college entrance exam) and the ACT WorkKeys in their portfolio. When asked who can retrieve and view individual student’s results, Cleveland was very clear that students and parents are in the driver’s seat. Students and parents decide whether the results are shared with employers or with colleges. Neither the school nor the district nor the ALSDE will share individual student results with any college or any employers. 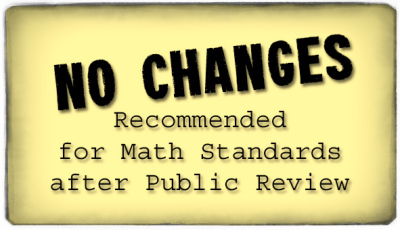 Students who score a minimum of four on all three subtests will be deemed college- or career-ready for purposes of Plan 2020. Meeting that benchmark is one of six ways a student can be deemed college- or career-ready. In 2006, ACT created the National Career Reading Certificate (NCRC), a “nationally recognized work skills credential”, which reflects a student’s skill level in the three core areas of testing mentioned previously. The student can print the certificate they earn and use it however they choose. It could be used during an interview. It could become part of a college application. It could help a student compete for a scholarship. At the Hoover City Board of Education meeting last week, Assistant Superintendent Dr. Ron Dodson shared additional information about the various levels, including expected salaries at each level. “Job Eligibility” indicates the percentage of jobs in which a student skills allow him to be successful. Dodson noted that only a few years ago, the Bronze level meant a student was ready for 35% of available jobs. Times have changed. 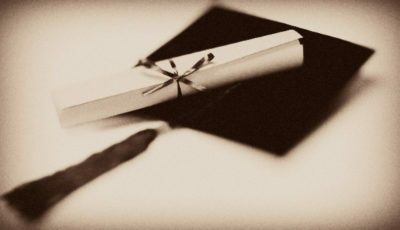 While the actual numbers of the Class of 2015 who earned the Alabama Career Readiness Certificate has not been publicly released, it is likely that the breakdown of how Alabama’s students made their way to college- or career-ready for Plan 2020 will allow some insight into how well Alabama’s high school seniors performed on the ACT WorkKeys. While not directly related to the ACT WorkKeys, Cleveland did bring up the one-half credit career preparedness course that became a mandatory course requirement for all freshmen, beginning in 2013. According to Cleveland, within that course, students consider what path they could take through various coursework to prepare them for what they will do after high school. It is an introductory course that explores careers and informs students and parents about what students need to do to be successful. Cleveland called the course a “foundation building block”. For those concerned about setting a career path in stone for a ninth-grade student, Cleveland says not to worry, because the plan is easily changeable. He believes school should be a time for students to explore various career opportunities, and questions how students can make an informed decision about which path to take when they don’t even know that certain careers exist. Cleveland describes the career preparedness course as bringing careers to life and making learning relevant to a student’s interests. He believes that if students are engaged in what they’re learning and want to be there, they will stay in school and graduate. Check out the Alabama Career Information Network for more information about how our schools are working to help families prepare their children for a future career. Science Curriculum Meetings Start This Week!